In 1787 Richard Bennehan opened a store at Stagville, near Durham, North Carolina. 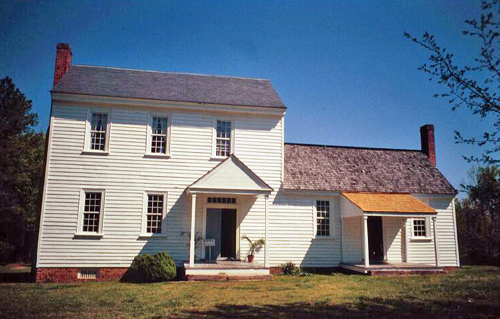 Somewhere between 1788 and 1790, he built a small, 24ft x 16ft house which later became the wing of a larger structure. A kitchen, smokehouse, milkhouse, and several cabins where slaves lived were constructed during this same period. A blacksmith shop was added in the late 1790s. 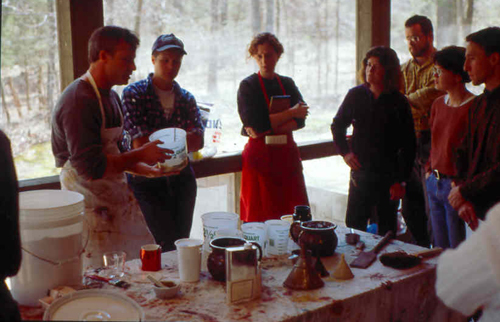 During the 1990s I ran a number of week-long courses dealing with historic paint, its manufacture and analysis for old house enthusiasts and museum curators. 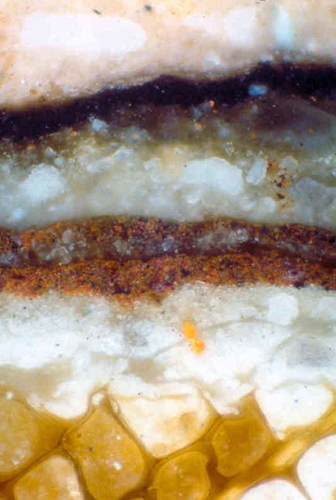 A cross section of paint taken from the skirting fascia. It shows a dark brown had been used originally. Thank you for your outstanding contribution to our state in sharing your wealth of knowledge and enthusiasm on historic paints during the 1990s workshops! Your involvement continues to have a positive influence on historic preservation and house museum projects across our state. Reid, thank you. 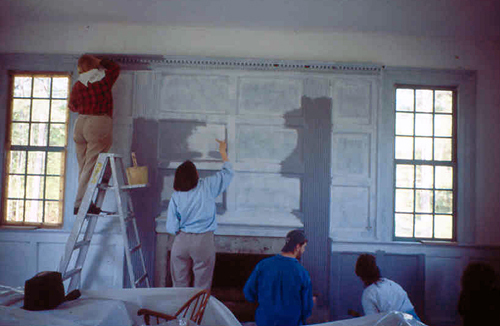 I look back to, what I consider, the heyday of historic paint research with very fond memories. A time when there was a real interest in the methods and materials of the early housepainter. It was a privilege to meet so many museum and historic house professionals from your country and to make so many friends.